Are you the next transportation or energy startup to watch? 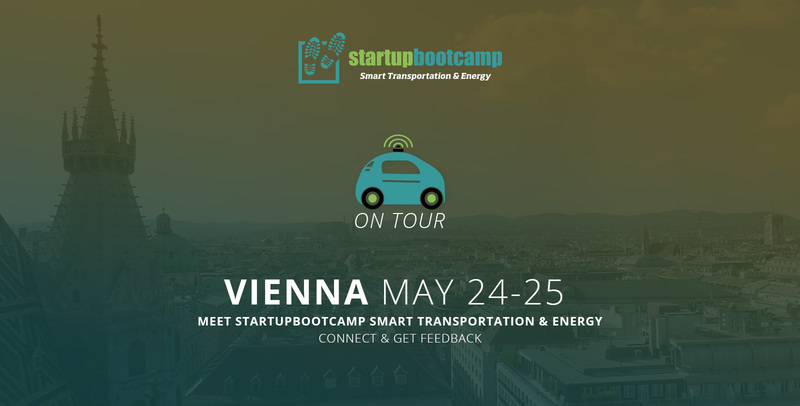 Startupbootcamp Smart Transportation & Energy will be in Vienna from May 24 – 25 to mentor the best startups in smart transportation and energy, and we want to meet you. This is an individualized meetup between our team and your startup. That means we’ll organize a meeting at a place and time that is most convenient for you. From May 24 – 25, our team will be at Pioneers Festival, a major event for future technologies and entrepreneurship. Will your mobility or energy startup be at Pioneers Festival too? If so, great! Let’s meet there. If not, no problem. We’ll still organize a meeting. Click the green JOIN EVENT button on this page and fill out the getfeedback form. We’ll get back to you to arrange a time and a place to meet after we have received your form. If you have any questions, reach out to us via Email. Startupbootcamp Smart Transportation & Energy is a leading global startup accelerator focused on the connected and efficient mobility of people and goods. The program offers startups access to world-­class industry expertise during an intensive three­-month program. For three months, the ten teams chosen to enter the accelerator program will work in Berlin’s Rainmaking Loft, a 1,000sqm startup hub. They will collaborate with over 150 corporate partners, mentors, and investors to build world class smart transportation & energy products. The startups will each receive €15,000 seed funding and six months of free office space. At the end of the three-month program, startups pitch at Demo Day to more than 150 investors. Startupbootcamp Smart Transportation Energy is proud to be partnered with Cisco, HERE, Mercedes-Benz, Airbus, VINCI, and Kuehne + Nagel. These partners allow the program to provide expertise, market exposure, and access to a network of company professionals that most early-stage smart transportation & energy startups would not be able to otherwise access. Our next program begins end of August 2016. Learn more on our website.